Upper School boys celebrated both National Spanish and French weeks in October and November by immersing themselves in the culture and engaging in numerous fun and educational activities. 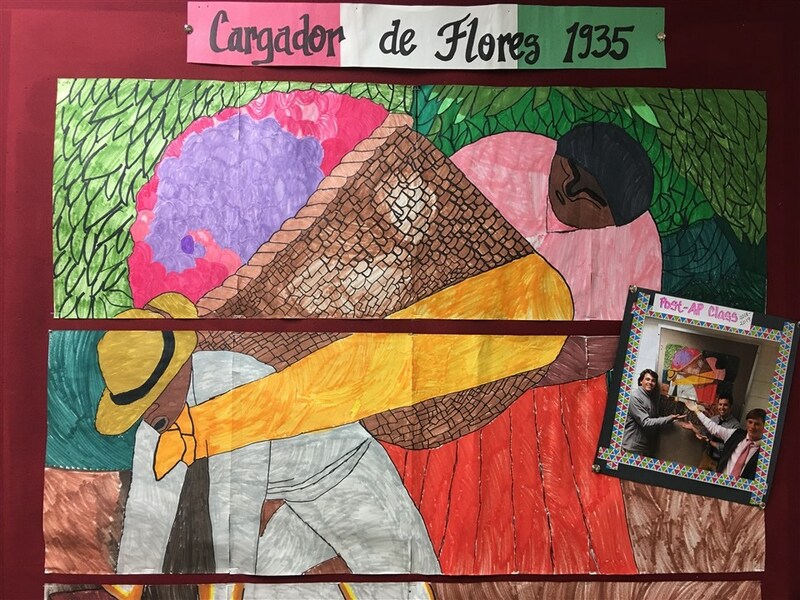 Our Post- AP Spanish class created a replica of “Flowers by Carrier” by Diego Rivera. Upper School boys celebrated "El día de los Muertos" by making altars of famous Mexicans. Winston Chodnicki ‘19 and Blake Shepherd ’19 made a video to celebrate the Hispanic Heritage Community at Boys’ Latin. Students also studied hard to take their place on the “Wall of Fame” bulletin board, "El Muro de las Estrellas," by achieving a 100% on their Spanish test. French students watched movies in French and created a trivia game around the history and culture of France. All Upper School students played and got to try their hand at French trivia.